We are very honoured to count Sanofi among the Sponsors of BioFIT. 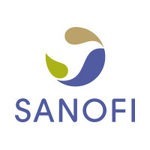 Many thanks to Sanofi for joining BioFIT 2017 as a Gold Sponsor! Sanofi is a global life sciences company committed to improving access to healthcare and supporting the people they serve throughout the continuum of care. From prevention to treatment, Sanofi transforms scientific innovation into healthcare solutions, in human vaccines, rare diseases, multiple sclerosis, oncology, immunology, infectious diseases, diabetes and cardiovascular solutions and consumer healthcare.